I participated in the Weddingbee Valentine Swap this year, and to be honest, I feel like a gross underachiever. I thought mine were so cute, until I saw the ones made by just about everyone else. Anyway, I still think mine were kinda cute, so here goes. 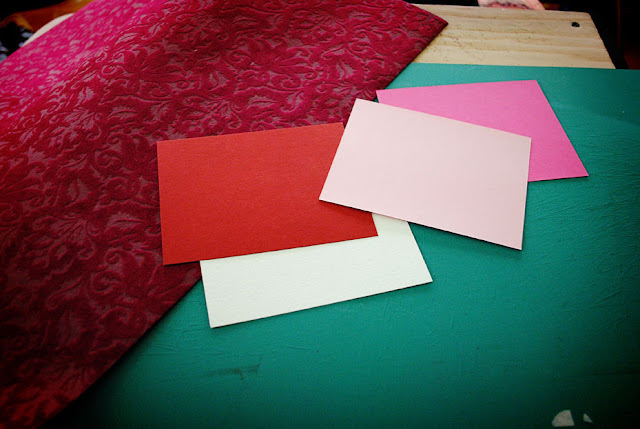 Step 1: Buy lots of pretty pink and red paper from Paper Source. I used the A2 size in Fuschia, Blossom and Red. 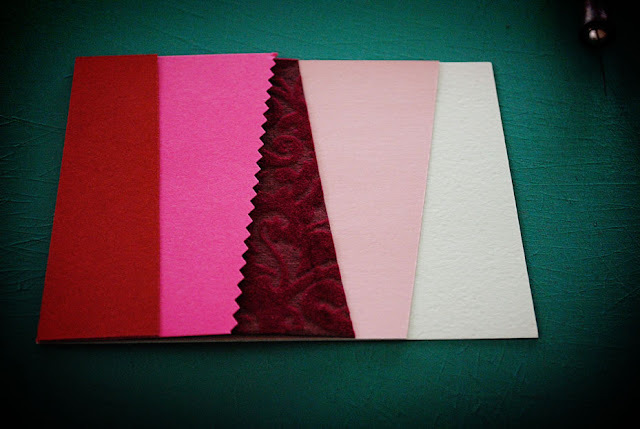 I also used fancy, flocked paper for texture. Step 2: Cut into funky shapes. Get out those pinking shears. Step 3: Sew around the edges I used the largest zig-zag stitch on my machine. 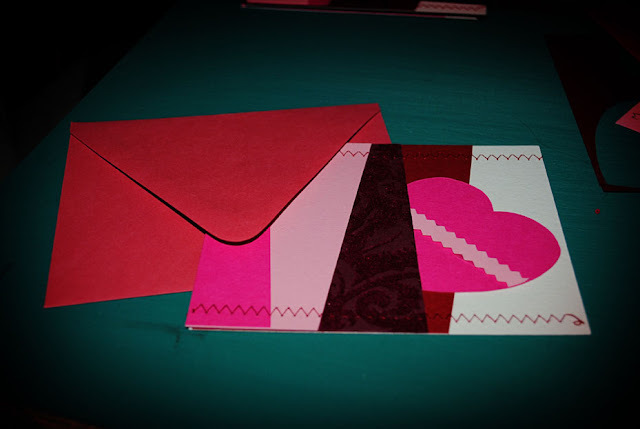 Step 4: Cut out a heart to tuck into the card. I taped on a pinked strip of paper for interest. 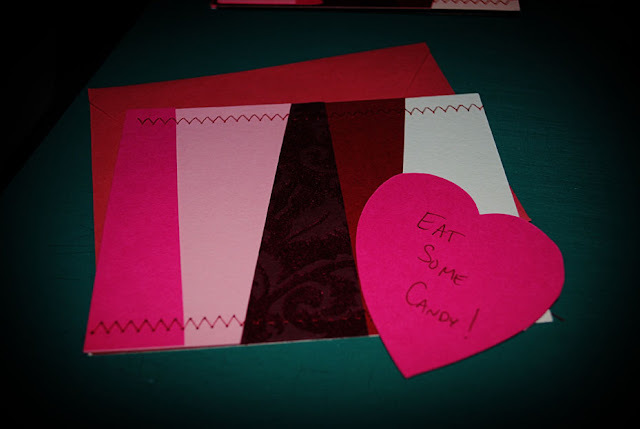 Step 5: Write something you'd like to read on a Valentine. Don't worry, it's a blank white card on the back, with plenty of room to write about your undying love for that special someone. 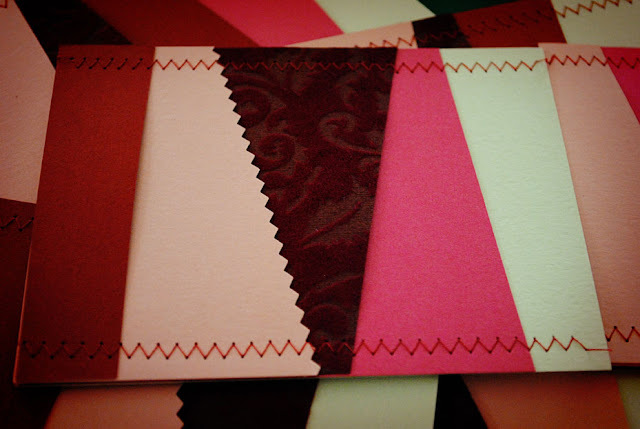 What I learned: It's hard to sew through 4-5 pieces of cardstock, so for the rest of them, I arranged the pieces so the most layers I'd sew through would be 3.